The first few times I saw eBooks displayed on Kindles, Nooks and Sony Readers I had to work hard to resist the impulse to throw up on the screens. (above) Kindle’s display flexibility can produce puke-able pages. The displayed pages were so UGH-LEE, so unlike the carefully crafted printed pages, that I could not bear to have my own books similarly butchered. Most eBooks let the reader take control away from the book designer. The reader can determine page size, type face and type size. The author's information is retained, but any graphic artistry is lost. 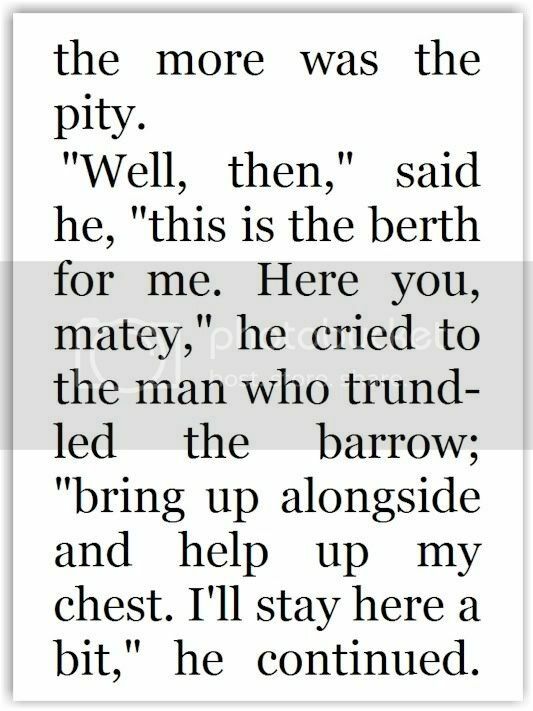 To the best of my knowledge, of the multiple eBook formats, only Adobe's PDF (Portable Document Format) is able to retain the original look of the printed page. This was important to me, and for the past year, if someone wanted to read my words on a PC, smartphone or e-reader, PDF was the only format I was willing to offer. However, a growing horde of readers that prefers to accumulate bytes of data instead of sheets of paper doesn't mind ugly pages, and doesn't want to be limited to PDFs where someone else dictates the appearance of a page. Some of my technical books about publishing and telecommunications simply have too many graphic images to be reproduced decently in the most common eBook formats, but one of my books has fewer images, and their placement is less critical. 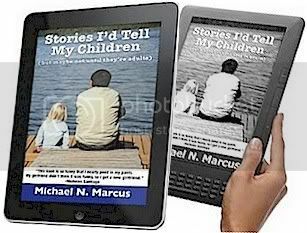 Therefore, I recently decided that my Stories I'd Tell My Children (but maybe not until they're adults) should be available as a $4.99 eBook in addition to a $15.95 paperback. The formatting and distribution was done by www.ebookit.com, and I am extremely happy with the company's quality, speed, responsiveness, and price (just $149 for multiple formats). The eBookit website is EXTREMELY user-friendly -- easy for even a non-geek to use. I needed to request multiple changes after I uploaded my file, but the additional work was done promptly, and without an additional charge. I highly recommend the company. After my approval, the eBook was immediately available from the company's website, and it took just a few days to be on sale at Amazon and B&N. After a week, it was available on lots of eBook sites, including important American bookstores like Powell's, and even bookseller websites in England and Australia. I was surprised at how good the book looked in Kindle formatting, when I read it on my PC, Android phone and iPad. On the other hand, I hated the way it looked when I visited a B&N store to view it on a Nook. Fortunately, I still have the option to read it on paper pages. And, in a decidedly retro move, because of reader requests, I've decided to publish the book in an old-fashioned hardcover edition. If people want to read my words, or give my words as a gift, I'm going to offer the words in whatever package they prefer. J.K Rowling, author of the Harry Potter series, has stated that there will be no e-versions of her books, but I can't afford to turn down business. Maybe J.K. will change her mind in the future. It took a long time before Beatle songs were available on iTunes. I experimented with Kindle editions of my books from December 2009 to April 2010, but I decided to pull my books out of the Kindle program after I found out that the Kindle converter couldn't properly convert Word tables. I also didn't like the 35% royalty. The new converter does a very good job with Word tables, and Kindle now offers a 70% royalty option. So I decided to offer my book as Kindle editions again, especially now that the e-book craze is taking off.